This session marks the fourth full legislative session that the all-volunteer Massachusetts Healthy Workplace Advocates have introduced the workplace anti-bullying Healthy Workplace Bill, this session Senate Bill 1013, to make severe cases of workplace bullying illegal. We knew going into the process that it would take several years to pass a bill. This bill is no exception. When passed, the bill will improve work cultures. That’s major change. And you’ve stayed passionate with making phone calls and spreading the word the entire time because this work is so important and thousands of workers need our help. We’ve spent the last several years building a base of support for this legislation, and we won’t stop building that base until this bill gets passed. We’ve built a base of more than 16,000 advocates who reach out to their legislators at key points in the process. That list grows daily thanks to you sharing Facebook posts, tweets, and emails. We’ve grown in legislative support. The number of legislators supporting the bill has grown from 13 to 39 to 58. This session, formal endorsements went to 49, but we gained the support over the session of an additional 21 legislators. That’s a total of 70 out of roughly 200 legislators. 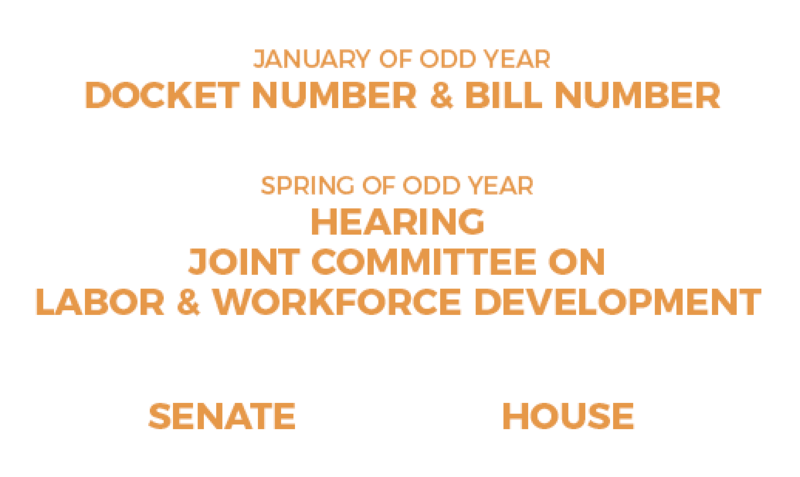 Every odd year in the two-year session, we re-introduce the bill in January and start the process all over again but have a bigger base to stand on (legislator and advocate support). We get a Docket Number to use to add on co-sponsors. HOW WE NEED YOUR HELP IN JANUARY: Call your legislators urging them to sign on once we have a Docket Number. Then we get a Bill Number. We continue spreading the word through our website, Facebook page, Facebook group, Twitter account, blog, petition, and e-blast. HOW WE NEED YOUR HELP NOW AND NEXT SPRING: Share social media posts and emails and spread the word. We testify at the scheduled hearing in front of the Joint Committee on Labor and Workforce Development. The legislators on this committee change each session. HOW WE NEED YOUR HELP FOR THE HEARING: Show up in support or testify. At this point, the bill can move to the Senate or House. 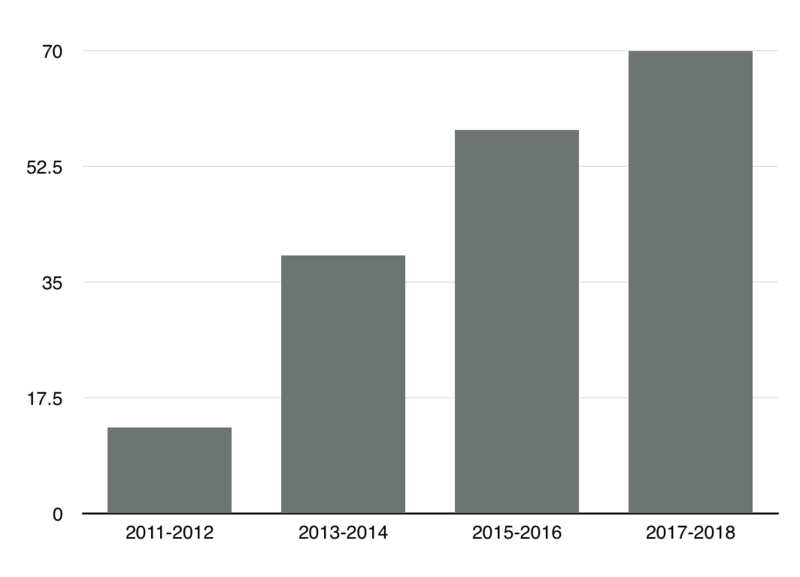 Only a limited number of the hundreds of proposed bills make it this far, and the Healthy Workplace Bill has been one of them in the majority of past sessions. HOW WE NEED YOUR HELP: Meet with your legislators, tell them your stories, ask them what concerns they have about the bill language, and urge them to move the bill forward. Educating others on what workplace bullying is since it’s not yet a household term. Creating urgency behind the bill in the State House since it competes with other pressing matters. A Boston Globe Spotlight reporter may write a story about a bullied Cape Cod nurse who took his life after workplace bullying. We’re obtaining data on roughly how much workplace bullying has cost Massachusetts taxpayers. We’ve been pitching reporters about tying workplace bullying to the #MeToo movement since sexual harassment is a form of workplace bullying. What skills you have. Are you a writer who can help write blog posts? Are you a people-person who can help make phone calls to our list of potential supporters based on the most progressive areas of the state where we lack support? Are you an artist who can create an exhibit related to workplace bullying? Do you have experience with political campaigns? Brainstorm what you like to do and what skills you want to bring to the cause. We’d love your help. What connections you have. Are you a nurse, teacher, education administrator, government employee, or non-profit professional who can reach out to organizations in your area for official support? Are you a union member who can let your union rep know about the bill? Do you have friends, neighbors, former colleagues, or family who might lend their connections to progress the bill? Phonebanking Director. Recruit callers for potential supporters and make calls. Endorsement Director. Reach out to organizations to ask for their official support. Join us to build on the momentum to make next session our session.